In January - We visited the Outside the Bowl Super Kitchen in Tijuana, Mexico. We had a wonderful time getting to know the founders of OTB, Jae and Debra better as well as spending time with some other OTB Staff, Eric and Deja. We definitely heard from the Lord as we cut giant carrots together and dreamed about the super kitchens in Haiti. In February - on Lily's 10th birthday, I (lori) took her to Haiti! It was an amazing few days watching her interact with people and make herself right at home. While we drove through the streets, I heard her say "everything is so beautiful here." That is probably not the first thing people think when driving through the streets of Port au Prince, but Lily has eyes that see the beauty in all people and the hope of things to come! She was so fun to travel with and can't wait to make Haiti HOME! The photo above is the house that our generous friends from We Care Haiti are letting our family make home for the first year. What a view! Our new home has a screened in porch across the front of the house - we have a view of Port au Prince, mountains, and to the west a few miles is the ocean. Lily climbing one of the trees in our yard. We will enjoy having coconut, almond, avocado, and cherry trees in our yard. We also have chickens and will likely add more layers when we get there and plan to have a large garden. Our friend, Rocky. We have asked him to prayerfully consider working and living with us. 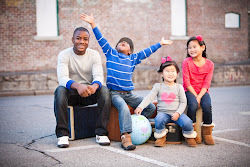 Rocky grew up in the states and has been back in Haiti several years. He speaks fluent Kreyol and English and is trained in security operations. Lily had fun seeing how big our water resevoir for our roof is...thankfully we found her before it was hoisted to the roof. Took lots of man power on a windy day to get it up to the roof - the guys did a great job. I (lori) first met Judith in November when she came to the house while we were looking at it. Judith has made effort to help keep the house clean ever since then and we were very excited to see each other again. She does not have any support of her family and lives with her 11 month old little girl - Nathanielle. Judith has expressed much interest in working in our home and I am excited to be able to share life and resources with her once we get moved. Our new friend Carmel - from Boston. She is Haitian American and has started an orphanage in Haiti in the last several years. What a great sister in Christ she is - a prayer warrior and strong woman of the Lord. The Brazilian Soccer academy that is just down the street from our home. Not sure a lot of details about teams, but hope this may be a place for Louis to play. Back in the states - we overnighted in Miami to see our friends, the Fullertons. How fun to celebrate the girls' 10th birthdays together. Emma and Lily were in the same Orphanage for the first 9 months of their lives. The Fullerton's were friends of ours from Memphis - we got to know each other during the adoption process in 2003 and traveled together during our adoptions - the first child for both of us. It was a miraculous time and our 2 families will be life long friends. "Uncle Wes" and our 4 kids at Convoy of Hope in Springfield, Missouri. We had great meetings with the wonderful team at Convoy - wondering if God would allow us to partner together to feed more people in Haiti! Wes is our global coach. 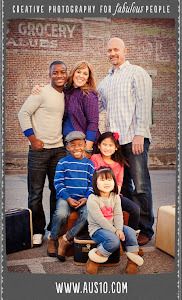 He and his wife Allyson, were part of the team that anonymously gave us a gift for our adoption in 2006. 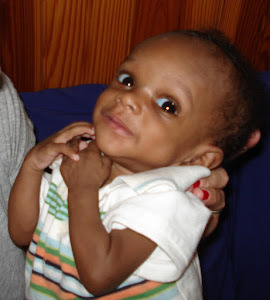 We have remained connected - especially when Louis came home in 2010 and have continued to wonder how the Lord would team us up in the future to love people in Haiti. Wes got us connected with Outside the Bowl and has been instrumental in helping us get to Haiti - navigating how to finish well in Siloam Springs, sell our home, move our family, ETC! Land in Delmas that we are in process of purchasing for Pastor Andre and the church he Pastors as well as their school, and prayerfully a medical clinic and super kitchen. Lily with our friend Mr. James with We Care Haiti - our friends that are giving us our living accomodations for the first year! So thankful!